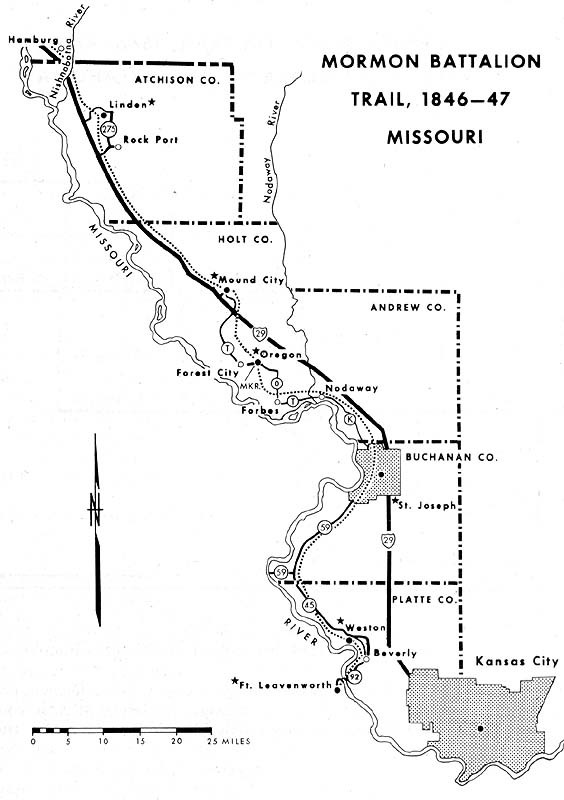 What has been called the longest infantry march in history﻿—approximately 1,850 miles﻿—began 20 July 1846 on the Little Pony River in Council Bluffs, Iowa. During the Mexican War of 1846 James K. Polk, president of the United States, requested five hundred Mormon men to help in the war effort. 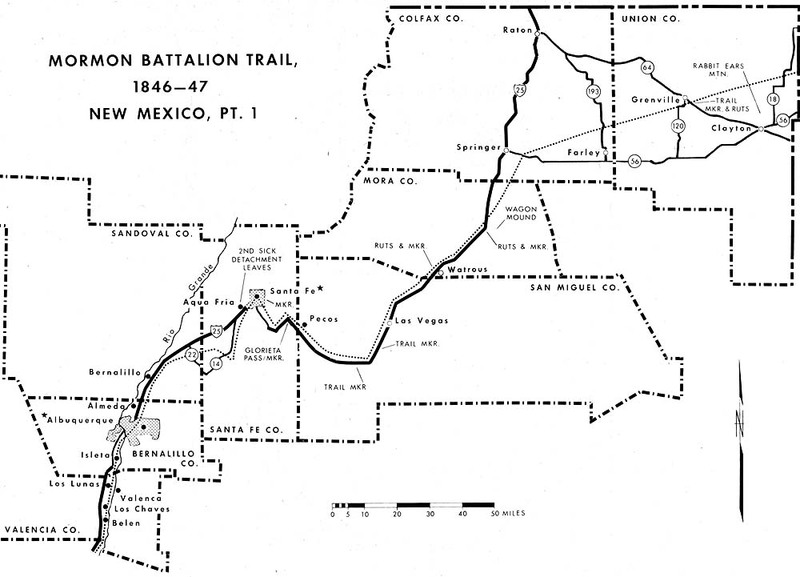 Shortly afterwards, near Hatch, the battalion left the Rio Grande and followed other Spanish trails﻿—some vague, some established﻿—towards the continental divide near the Arizona border. Enroute the Mormons were excited to find petroglyphs thirteen miles north of Deming in Cook’s Canyon, considering them circumstantial evidence of the Book of Mormon. Visitors will find it difficult to visit Cook’s Canyon today, even by ranch roads. (Ask locally for directions.) Ruts of the old Butterfield Stage road are visible through this canyon. There is also a trail marker out of Deming on Highway 180. 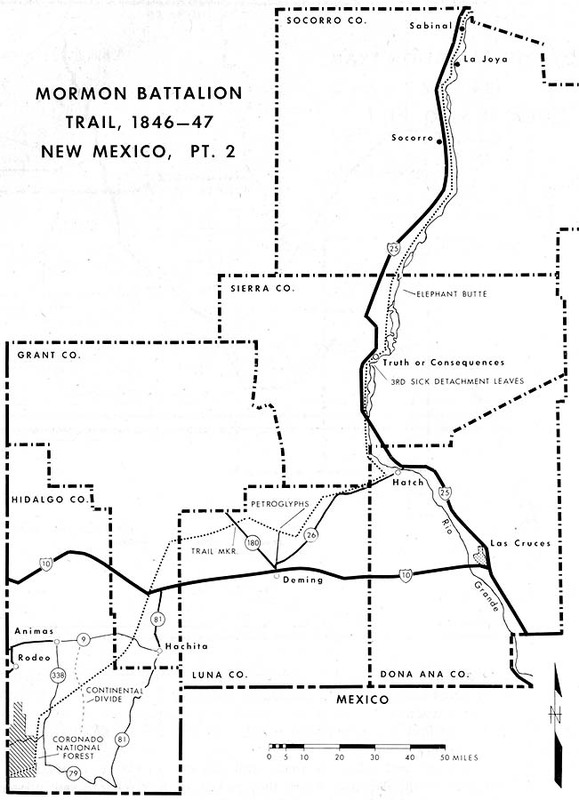 From Deming, several roads, none following the trail, lead to Arizona. The most scenic is through the Coronado National Forest. On December 11 the battalion fought its only engagement of the Mexican War﻿—one with wild bulls. One man was gored in the leg and sixty to eighty bulls were killed. A marker on a road southwest of Charleston describes this event. 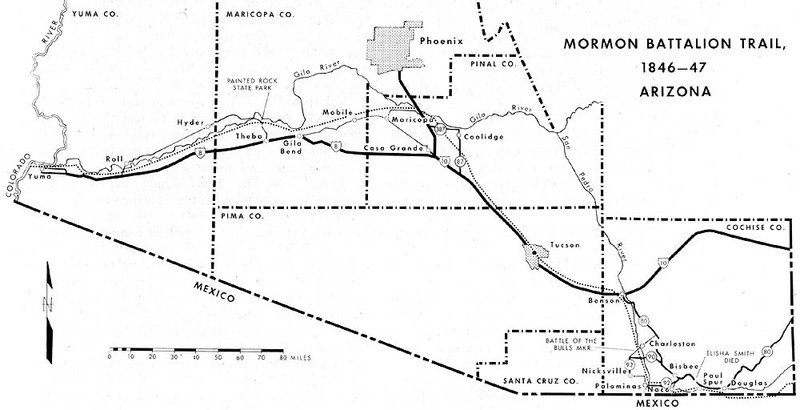 They entered Box Canyon northwest of Ocotillo which in parts was a foot narrower than their wagons. Places where the Mormons had to cut through the canyons are still visible. 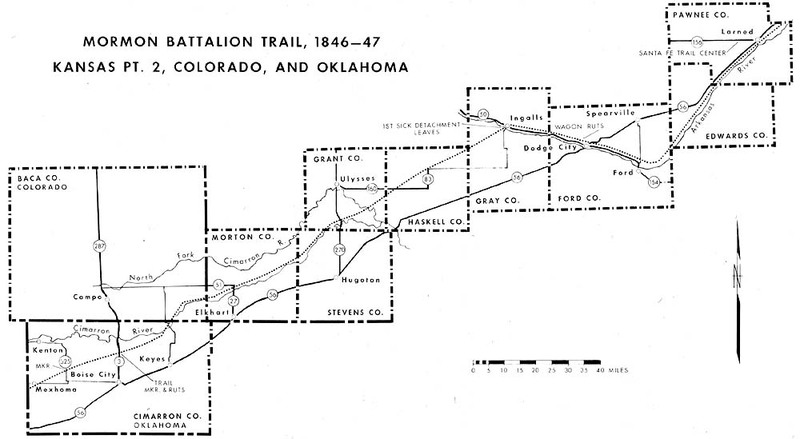 After this, the battalion rested at Warner’s Ranch. 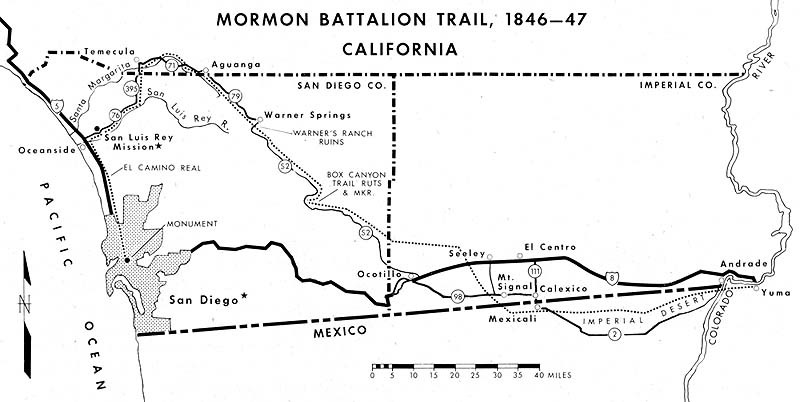 The battalion filled its enlistment term with performed routine garrison duty in San Diego, San Louis Rey, and Los Angeles, until being discharged 16 July 1847. Some reenlisted for six months, but most made preparation for joining the pioneers in the Great Basin. 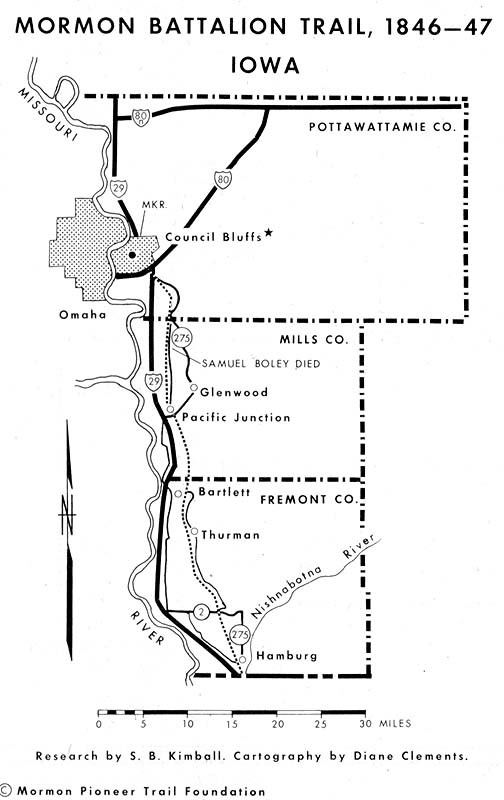 They pushed north and picked up the Old California Trail east of San Francisco. Some decided to winter at Sutter’s Fort﻿—and were present when gold was discovered in January 1848. Those who had gone on arrived in Salt Lake Valley 16 October 1847. Stanley B. Kimball, professor of history, Southern Illinois University, serves as a high councilor in the St. Louis Missouri Stake.